I can almost guarantee some of these people you will mention are artists – Mozart, Beethoven, Bach, Michelangelo, Shakespeare, Van Gogh, Renoir, Brahms, Shelley, Keats, Tchaikovsky, Da Vinci, Rembrandt, Emerson, Dickinson, Plato. Artists and their work are remembered and appreciated by society. Museums honor their achievements. We tend to remember them more than most of the world leaders from the past. 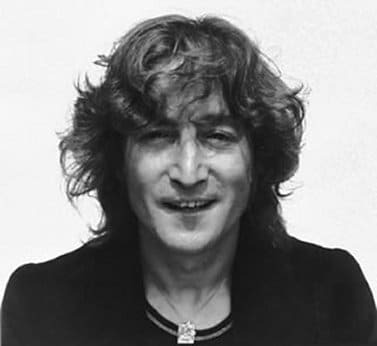 What John, with The Beatles and as a solo artist, has given this culture, will be remembered hundreds of years from now. It is a comfort to know we have lived in the same time on this planet as he did. All of our lives have been enriched beyond words by the music and art of John Lennon. Thank you for being the catalyst. Thank you for liking and approving my idea for a 10th Anniversary Beatles fans convention in 1974 I love you and will always miss you. We also want to wish Sean a very happy birthday on this day he shares with his father. He is 43 today. On a personal note, this day was also shared with my father, Danny, who was certainly my biggest musical influence growing up, before 1964 came along.